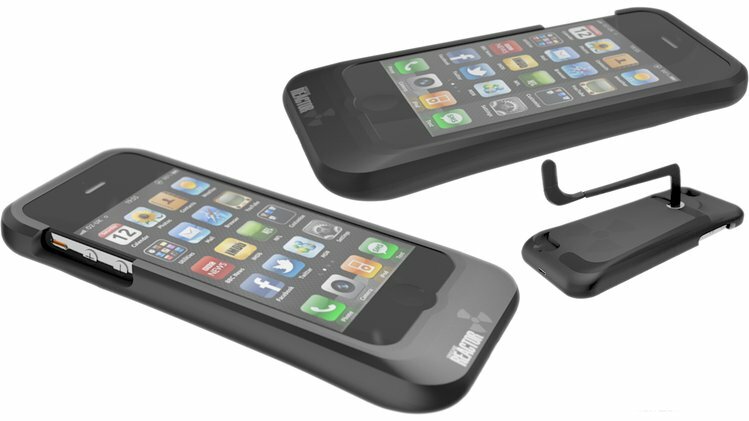 Logitech Solar Keyboard Folio for iPad 3: an elegant solar keyboard case for your tablet. It is powered by indoor and outdoor light. 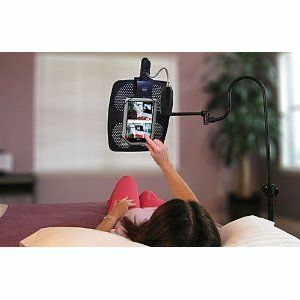 You may use this as an iPad stand too. 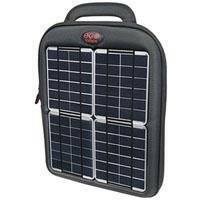 Voltaic Spark Solar iPad Charger & Case: this charges your tablet using sunlight. 1 hour of charge provides you with 1 hour of video playback. 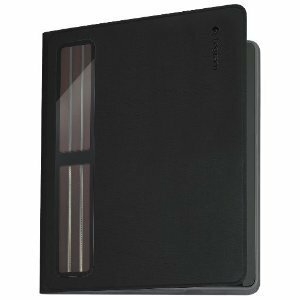 Solar KudoCase iPad 2 & 3: a pretty versatile solar case for iPad. It can charge your device using indoor and outdoor light. The case includes HDMI and USB power-out ports. It can serve as a stand for your tablet too (video: h/t @idjmic). These solar cases are quite handy if you plan to take your tablet with you to the outdoors. 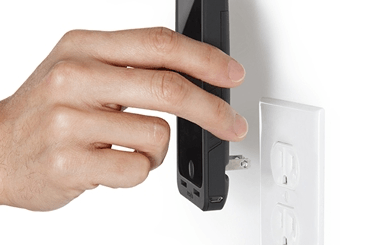 They are not cheap by any means but save you from having to look for a wall outlet on the go.